Looks like Agent 47 is going after some high rollers. IO Interactive’s Hitman 2 has been out for a while now, but an assassin’s job is never quite done. 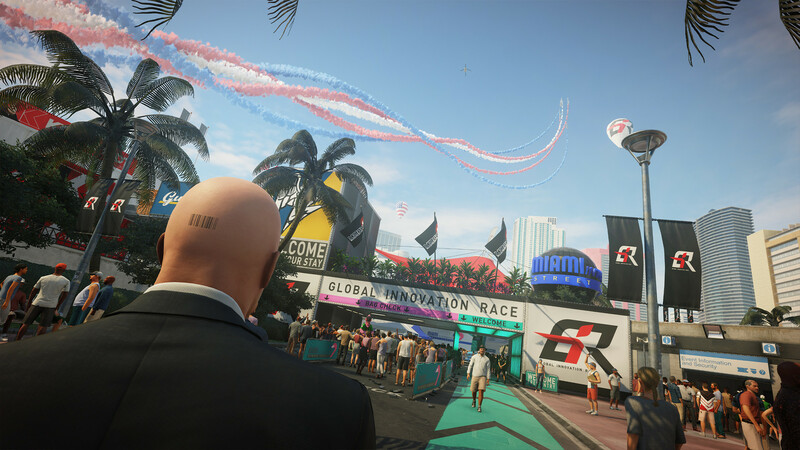 The developers have just revealed the roadmap for the game’s post-launch DLC, with the locations Agent 47 will be dispatched to, and the targets he’s going to be taking out. You’ll be going to Hantu Port and a Prison for new sniper based maps, and a Bank and Resort for free form stealth to take out your targets. 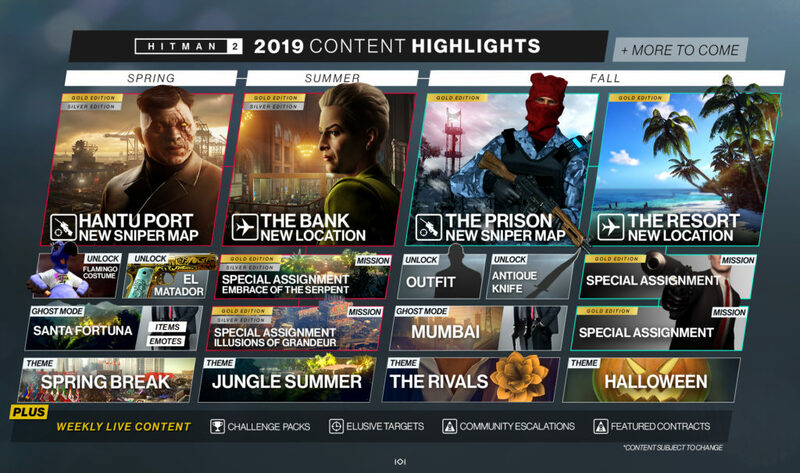 Each map will come out in between Spring and Fall and will include a host of new targets, unlockables, assignments, and themes to add to your briefcase. The new content will be available to all Gold Edition owners of the game, as well as all those who bought the expansion pass separately. Spring and Summer content will also be available free of charge to Silver Edition owners. For more details you can check out the roadmap here, or get a visual overview with the image below. Hitman 2 is the follow up to the Hitman, which was an episodic take on the long-running franchise. 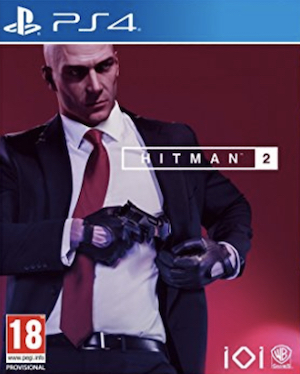 The sequel – which was released in one go rather than being split across episodic releases, is the first game in the series to come after developer IO Interactive’s split with their previous publisher, Square Enix. It is available for PlayStation 4, Xbox One, and PC.